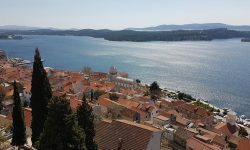 As I mentioned in our travel story from Vis, one day of our Holiday was spend on a visit to the Island of Biševo, which is a small island situated 4 nautical miles SW of Komiža. Our visit to Vis was not only for pleasure, my friend Shane, from Lifejacketadventures, had convinced me to help him bringing his kayaks, from Biševo back to Komiža, where he normally stores them when he is not on a trip – so I actually had to work!! So Tuesday morning at 7.30 we met in Komiža with Shane, his family, and a Swedish girl – Johanna, who also was going to help with the kayaks. From here we took a fishing boat (taxi boat – 25 kuna) which was loaded with goods, tourist, the skipper and his bodies. The sailing time to the first drop of point at the east site of Biševo was around 40 minutes, as we had to go to a bay on the west site of the island we got an extra 20 minutes sailing trip. Well arrived at the Island, we went to visit some friend of Shane’s, Lile and Davor who has a small house 50 meters from the beach, Lily and Davor are some very interesting people, they are actually from Zagreb, but spend 6 month’s a every year on the Island, where they among other rent out small cottages and have a environmental project running called “Mali Zeleni I Biševo” (the little green at Biševo). The morning we spend with swimming in the nice bay, where Lili and Davor last year removed around 20 tons of garbage!! At noon we went to next bay Porat to have lunch, as you can see on the picture here, we also had a nice place to swim. As 3 PM it was time for the hard job, Shane, Johanna and I prepared our selves for the kayak trip back to Komiža, I must say I was bit nervous to back in a kayak again, as the last time was (and also first time) was at Vogalonga 2008, but as we first started paddling I forgot about that. The first stop on our Kayak trip was Modra Špilja(The blue cave) as you can see the cave does not look like much from the outside, and when you get in there in a 6 meter long kayak without a flashlight it is a bit scary, but very beautiful. After the blue cava we started our crossing direction Komiža, the weather was very nice so we had no problem with the waves. At about7 PM we reached Komiža I was very tired, but glad that I took the trip, as it is not everyday you get the chance to sit in kayak 20 NM from the mainland. 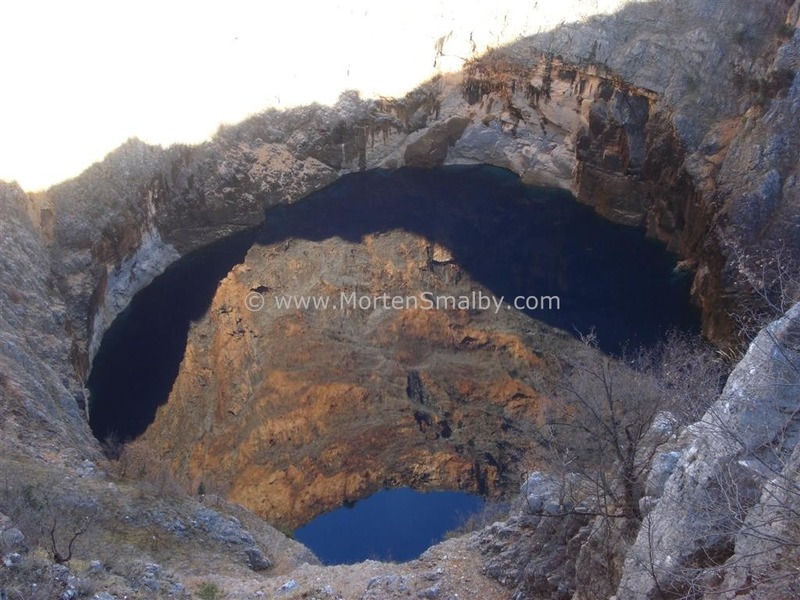 The Main attraction – Modra Špilja (The blue cave) – can be visit by organized trips (Price 100-140 Kuna) or you can take fisher boat as we did. 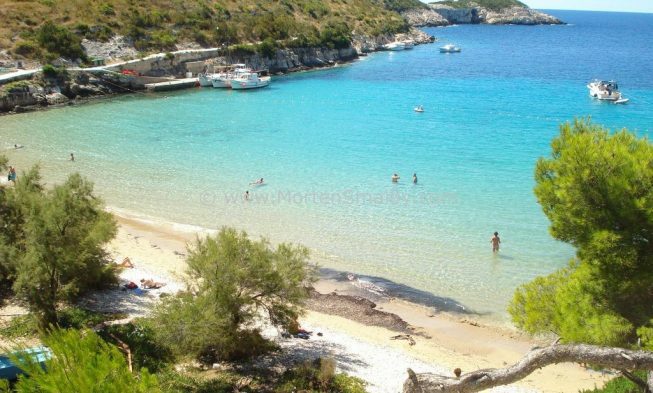 Biševo has some very nice Sand beaches – the fisher boat from Komiža would e.g. take you to Porat in the morning and return in the afternoon around 4 PM. Only 7 people live the whole year on Biševo. The wine from the Island should be great. Thanks for the information, is there any possibilities of sleeping in Bisevo? Maybe a fisherman house to rent or any sort of hut? IS it possible to sleep in a tent? I know Lily and Davor has a few huts, try to send them a mail at info@bisevo.org , with tent i am not sure i for sure did not see any when i was there, but you can also ask Lily and Davor about that. Thank you! I have just sent them an email. Maybe you can help me a little bit more.. The idea of Bisenzio came while searching for an isolated place in the nature in Croatia. I’m not sure Bisenzio is, but it looks like. Maybe you know other places? WEe do not need tourist facilities, just nature, wilderness, and a place to sleep. We are 2 italians in our early 30s, and I am now in Kuala Lumpur, going to Indonesia tomorrow for a month. I have been travelling (backpacking) Asia for 6 months now and before I go back to Italy in august I will have 1 week relaxing in Croatia with my boyfriend. As we do not need touristic facilities, we are trying to stay away from the crowds and close to the nature as much as possible. Any place in Croatia would be ok, so if you know of a place, or somebody who rents a simple hut please let me know! Well, there is lots of totally isulated island, but problems is that you are not allowed to stay on most of them, Bišove is for sure one of the places where you don’t run in to to many turist. Grazieeee! While waiting for Lily and Davor reply I will check out info for Ilovik. Very, very nice.I was there some years ago – and i must say, Croatia is nicer than Italy ore the most other mediteranian Places. Wonderful blu wather and good wine. Thank you for your posting! I am from Macedonia, I love Croatia, and I am going to Trogir this summer. I plan to visit the Islands of Vis and Bisevo, so can you tell me please if there is a boat excursions from Trogir so I can see these islands in one day trip? What is the approximate price for that? @Vladimir, i dont think there is any organized boat excorsion from Trogir to Vis, at least i never heard about one. Do you know any day tour from Split to Vis instead of from Hvar?! Thanks! i dont think there is any this time a year. 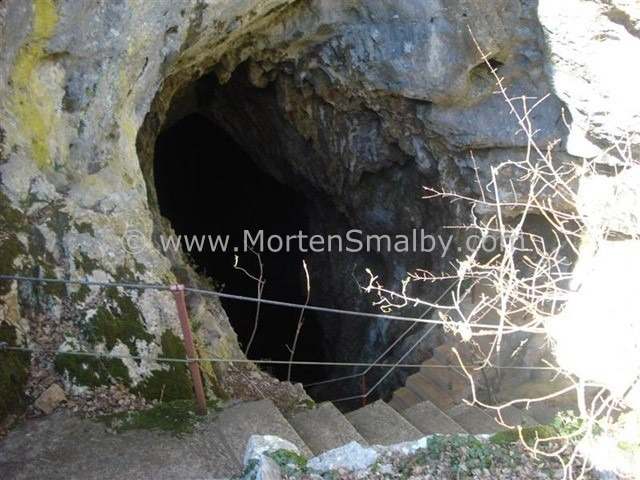 Can you recommend any company that does a good job at day trips to Modra Špilja? from where in Croatia do you want to go? We can be pretty flexible. We”ll be driving down the coast at the middle/end of May. We were thinking Split but we could make anywhere work. I know about a few, who used to do it from Split, i will check up on that and let you know.